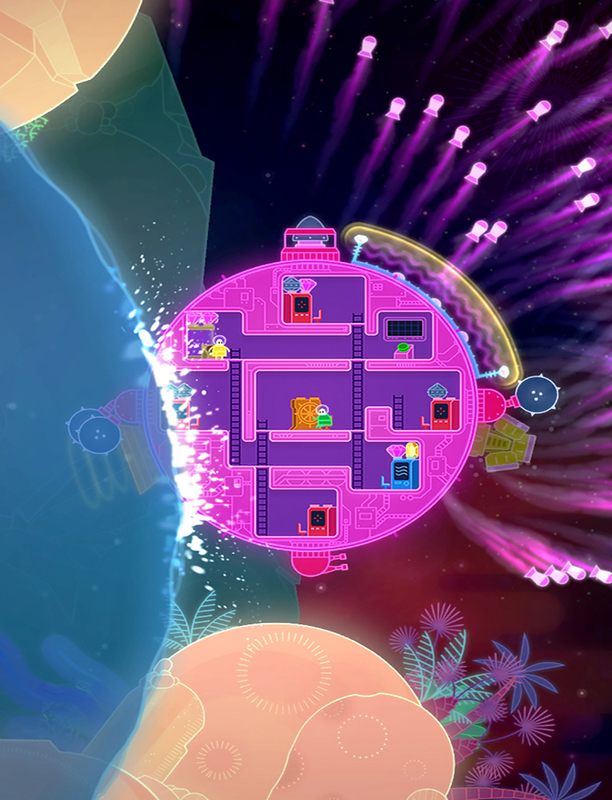 Explore a neon galaxy in your very own battleship in “Lovers in a Dangerous Spacetime”, a thrilling 1- or 2-player couch co-op adventure. Only through teamwork can you triumph over the evil forces of Anti-Love, rescue kidnapped space-bunnies, and avoid a vacuumy demise. Deep space is a dangerous place, but you don’t have to face it alone!